*Service contract with synthetic blend motor oil replacement up to 5 qts, oil filter, and 4-wheel tire rotations. Additional charges may apply. Customer is responsible for local tax, shop supplies fee and disposal fees. 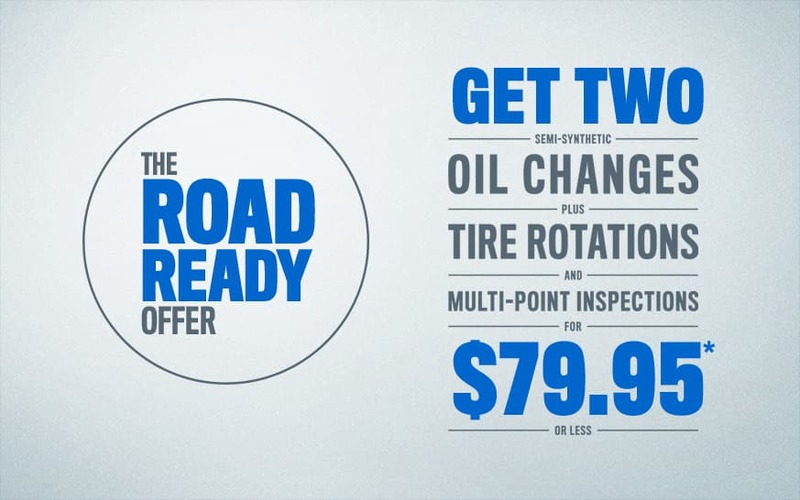 Valid for most makes and models at participating dealers. Excludes diesel engines. Service advisor has details. Offer Expires 04-30-2019.